Korean beauty is everywhere you look these days: It's on the shelves of every store from Saks Fifth Avenue to CVS and it even made an appearance on the red carpet at the Emmys. 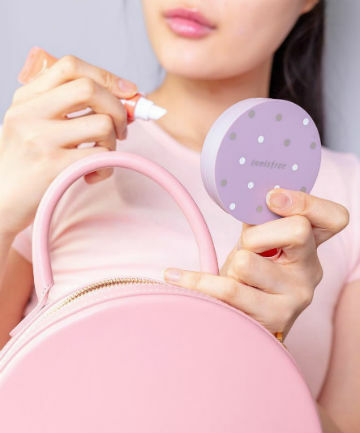 One of our favorite K-beauty brands of the moment? Innisfree, which made its way to the U.S. market earlier this year with a new e-commerce site, as well as a couple brick and mortar locations in New York and New Jersey. There are a lot of things that make the line attractive. It's moderately priced, for one (generally a little more than drugstore products and a little less than your typical mid-range brands). It also has a focus on natural ingredients, typically sourced from Korea's Jeju Island, a paradise-like destination known for its unique flora. Most importantly of all, we've been continually impressed by how well the products perform...and you just can't argue with that cute K-beauty packaging. Keep reading for a few of our favorite picks from the brand — we know you'll like it as much as we do.